As soon as Alicia stepped on to the second landing, the lights went out and a hand grabbed her into the all-consuming darkness. She tried to scream in panic but a hand covered her mouth and a voice whispered in her ear, 'Shhh... It is me, Richard. Don't scream. You are in safe hands now. I will take care of you.' Alicia opened her mouth to speak. Richard suddenly whipped out a chloroformed handkerchief from his pocket and covered Alicia's face with it. She fell unconscious after a few minutes. Richard lifted her and slung her over his powerful shoulders. He had to save his Alicia from the enemy. He walked over to the window in the landing and looked outside. There were two men by the gates of the hotel. Were they the enemy? He could not tell. He had rendered Alicia unconscious because she might have argued. Even now she did not comprehend the danger she was in, though he had warned her several times. He had no choice. Richard suddenly spotted the fire escape. Now he knew what to do. He rapidly descended down the fire escape in spite of the fact that he was carrying Alicia on his shoulders. Alicia was petite and did not weigh much. That morning Richard had escaped from the prison where they had been holding him. He had found his Alicia now. He needed to find a car and make his way across the border into Mexico. Both of them would be safe to build a new life for themselves in Mexico, away from the enemy. Richard walked rapidly to the garage and soon located a Skoda whose owner had not bothered to lock the car. He loaded Alicia into the back seat and got into the driver's seat himself and started the car. To his surprise, the guards did not bother to check him when he drove past the gates of the Hotel. He drove rapidly in the direction of Mexico. He may have a little problem getting past the border but he was confident he would manage it. Was that a car chasing him? No, he did not think so. Richard stepped out and a policeman walked over to him and said, 'You are under arrest for overspeeding in the highway and not stopping when you are requested to.' The policeman escorted him to the traffic police vehicle. 'Where am I? What happened?' asked Alicia. 'You are in the Kensington state hospital and you are in safe hands now. There is nothing wrong with you. Your husband, Richard Gordon tried to kidnap you last night. I was one of his fans before he stopped writing,' said the nurse. Author's Note: Written for the prompt given by Asha Seth. 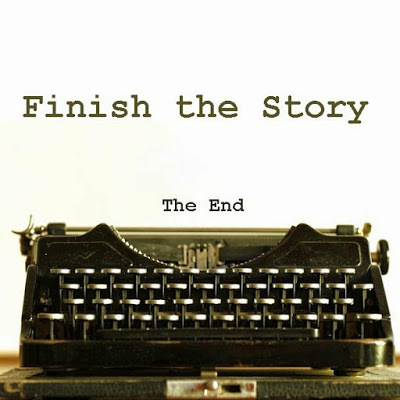 Read more here about Finish the story collaboration.